A New Face, Same Vision! I would first like to start off by saying, thank you. Thank you for taking the time to visit GooseBusters Guide Service website and learning more about us as a company and what we have to offer. In 2013 I purchased GooseBusters at the age of 22 years old. The former owner, Phil Schmidt, did a phenomenal job with a company and got it where it is today. I took over this company with a passion, a drive, and a determination to succeed. I have been hunting ever since I can remember. My father would haul me out to the duck boat on his shoulders because I was too small to walk in the tall weeds! My life has been nothing but waterfowl hunting ever since then. The passion for the sport is what made me decide to take over GooseBusters and continue the great things Phil started. GooseBusters has an outstanding reputation and we will continue that status by uploading photos of our hunts on a weekly basis! These photos not only show you the birds that we harvest but as well as the smiles on faces that have plenty of stories to tell! At GooseBusters we maintain smaller client group hunts to create a higher quality hunt. We only host 6 hunters, including the guides. Clients come back year after year because of the variety of birds harvested! Every year GooseBusters harvests large canadas, medium and small sized canadas, along with an average of 14 species of ducks per season including both puddle and diver ducks. The main reason we are so successful is scouting. Scouting is crucial for any hunt to be successful. We scout every day, morning and night, whenever we aren’t out hunting. We spend countless hours in the truck watching the birds, taking notes, figuring out how the birds are going to react in every situation. 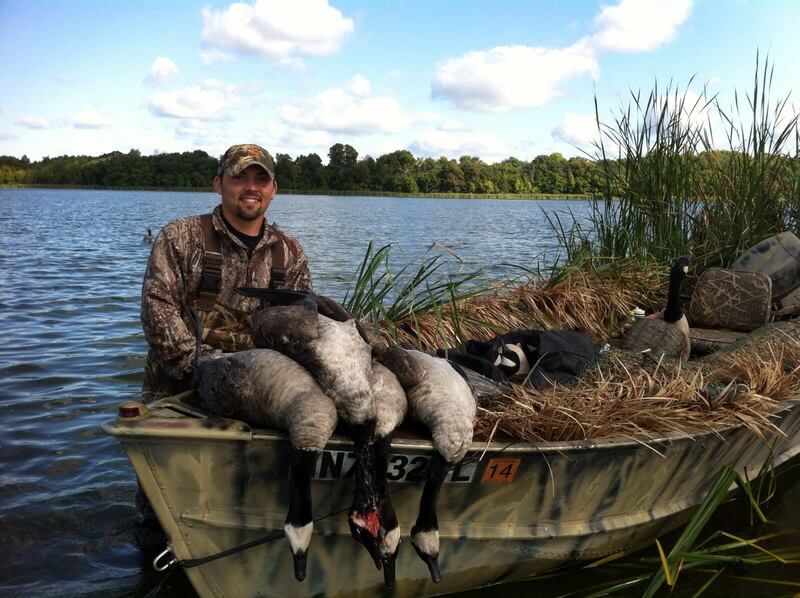 We hunt waterfowl in every type of terrain, crop fields, lakes, ponds, pastures. Reasoning…We go where the birds are. In conclusion I believe you owe it to yourself to come on a hunt with us and find out what GooseBusters has to offer and why we are Number 1 in Minnesota. Whether it’s once a year, once every few years, or several times a year, I’m confident you’ll be coming back and hunting with us! Please give me a call and let’s head out to the field! I look forward to talking with you.